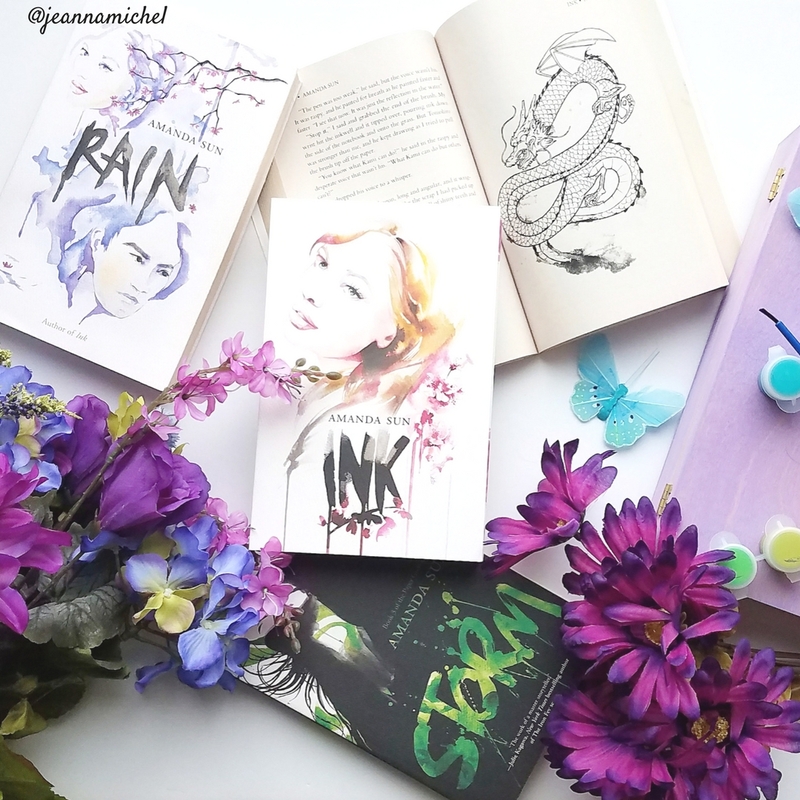 Kickin’ It is a feature at The Bucket List where I round-up the whole month in one post, bringing you reviews you may have missed, other awesome bookish things, and even what I’m currently obsessed with in other media besides books. February was a super chill month, in terms of reading. It’s the shortest month so I wasn’t expecting to read so much. It doesn’t feel like I read 9 books but my stats don’t lie. Surprisingly, I didn’t do much else which probably explains how I was able to read so many books. I didn’t see many movies this month. And, besides getting ready for the A Darker Shade of Magic by V. E. Schwab Book Discussion, I spent most of my free time reading books. Since we are on the topic, every Thursday from March 1st and May 24th, Jackie and I will be discussing A Darker Shade of Magic by V.E. Schwab. It would be awesome if you joined us and read along too. And, to top off that cake with whipped cream, we are giving away a paperback copy of the book to one lucky winner. So, be sure to follow along and enter to win the book! The Wishing Spell by Chris Colfer (4 stars): I’m not one for middle grade books, but I received this so long ago and it’s about fairytales so decided to give it a try. I didn’t love it but it was so adorable. Colfer weaves the fairytales into this adventure story, adding twists and turns to recognizable characters. It is the beginning of a series that kids will definitely love! Honor Among Thieves by Rachel Caine and Ann Aguirre (4 stars): Another book out of my comfort zone was Honor Among Thieves. I usually steer clear of Honor Among Thieves but it was Rachel Caine so I couldn’t stay away. And I loved it: the magnificent world building, unforgettable characters, and an unconventional relationship between a human and an alien. Stalking Jack the Ripper by Kerri Maniscalco (4 stars): I love me some good historical fiction, and this book definitely delivered! Maniscalco took some time in building the case which made for a slow beginning but after that hiccup, it was non-stop adventure and fun. Allegiant by Veronica Roth (3 stars): Ugh. This book has been on my TBR for years and I finally picked it up. I’m no happier about it than before I read it. Since I was spoiled a few years back on what the ending was, I couldn’t even bring myself to enjoy it. And the ending happened, and I’m not okay. The Battle of the Labyrinth by Rick Riordan (3 stars): For the past two months, I’ve been working on finishing the Percy Jackson series and it’s been going very well. However, The Battle of the Labyrinth is my least favorite of all of them. It seemed to be more like a filler episode than anything else. The Last Olympian by Rick Riordan (5 stars): However, the finale of the Percy Jackson series surprised me in many ways. After The Battle of the Labyrinth, I wasn’t expecting to like this one as much as I did. The conclusion was satisfying but I hope we get some cameos from Percy in Riordan’s other series. Brooding YA Hero by Carrie DiRisio (3 stars): This one was not what I expected at all. I purchased this one on a whim since I absolutely adore DiRisio’s Twitter account. It’s part writing guide which I liked since I’m currently in the middle of my WIP, but the guide is in Broody’s narrative, the voice of her tweets. The book has good lessons on different literary elements but overall, it’s hard to find the facts meddled with Broody’s clichéd discussions. 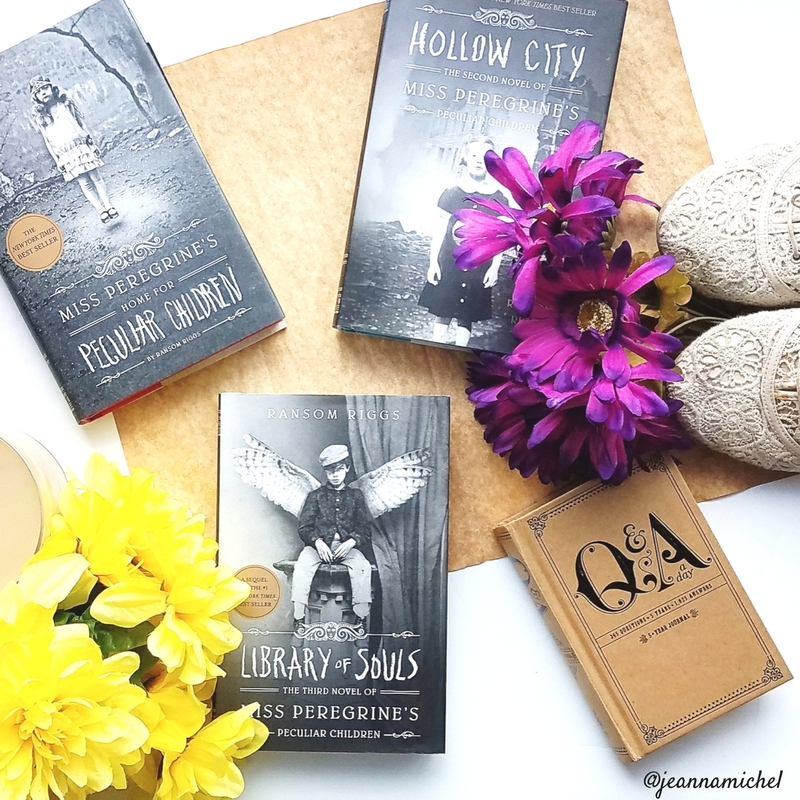 Hollow City by Ransom Riggs (4 stars): This wasn’t on my original TBR for this month but I had rewatched the movie, Miss Peregrine’s Home for Peculiar Children, last month and was motivated to finish this series too. Once again, Riggs seamlessly incorporates pictures into his story. And the direction the series took was incredible fun and, of course, unpredictable. 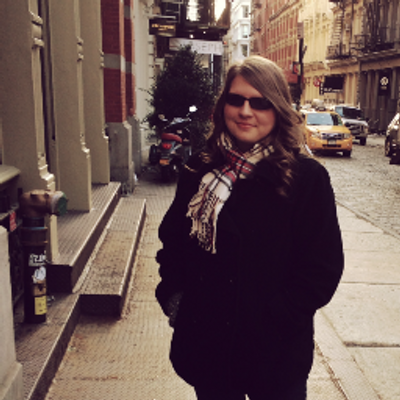 It was such an adventure! Library of Souls by Ransom Riggs (5 stars): The finale of the Miss Peregrine’s series kicked it up a notch from its previous, Hollow City. I have nothing but praise to say about this one; it was absolutely incredible! Ten Thousand Skies Above You by Claudia Gray (review): Ten Thousand Skies Above You is a fantastic sequel, one that will meet all of your expectations. Overall, you will most definitely not be disappointed with this one and with that eyes-widening cliff hanger, you will need the third, and last, book in your possession to devour as soon as humanly possible after. 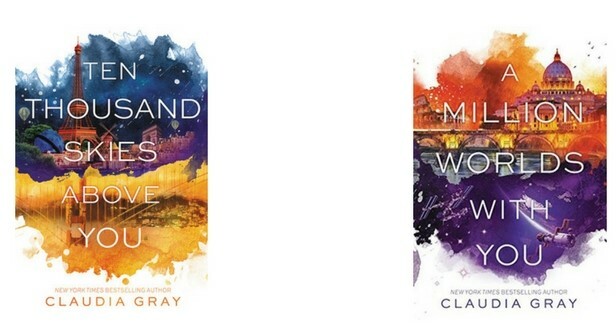 A Million Worlds With You by Claudia Gray (review): The finale, A Million Worlds With You, is a sour end to an, otherwise, fantastic series. Despite its many holes and ridiculous problems, it closes the series in a satisfying manner that no fan would complain about. One Paris Summer by Denise Grover Swank: This one will probably wait until summer because it gives off all those seasonal vibes. I mean, summer’s in the title so it’s bound to bring some fluffy romance into my life, all the while being set in Paris. I can’t wait for all the cute to begin! Tales of the Peculiar by Ransom Riggs: Finally, I finished Miss Peregrine’s Home for Peculiar Children series. In the books, they refer to the Tales of the Peculiar quite a bit so it’ll be interesting to read the source material. Hunting Prince Dracula by Kerri Maniscalco: After reading Stalking Jack the Ripper, I cannot wait until I visit the amazing characters in another action-packed adventure! Restore Me by Tahereh Mafi (3/6/18): I’m still unsure about this one. The Shatter Me series concluded as a trilogy but it has since been continued in this fourth installation. I’ve only read Shatter Me, so I can’t say how the trilogy ended but I guess we shall see where it goes with the continuation. Obsidio by Amie Kaufman and Jay Kristoff (3/13/18): The third in the Illuminae Files; is this the conclusion or will there be more? I’m still not caught up, having just read Illuminae but I will get to this one soon. Children of Blood and Bone by Tomi Adeyemi (3/6/18): I don’t know much about this book. Except it’s fantasy which I love and am always looking for more recommendations. I kept the watching to the minimum this month since I was intent on finishing a few book series for my yearly bookish goals. I am so happy that I finished 3 book series this month. Even though the extra reading came at the price of some binge-watching. However, I was able to finish watching Jane the Virgin Season 3 and even a few movies. I found 47 Meters Down on Netflix and remembered that I wanted to see that when it first came out but never did. It had a rather basic survival plot of two girls getting trapped in a cage surrounding by sharks. The ending was incredibly well-played and surprising. Also, I saw Happy Death Day which was fun and played like a Groundhog Day movie for the horror genre. I had wanted to wait and read Everything, Everything by Nicola Yoon before seeing the movie but it didn’t happen that way. Despite most of the interactions being cringe-worthy awkward, I thought it a good story and am definitely going to read the book sometime soon. How was your February? What books did you read? Did you watch any amazing shows/movies? I really want to read the Miss Peregrine books! We saw 47 Meters Down, too - loved that it had a twist!